The tragedy of abuse is everywhere. As covenant followers of Jesus Christ, it is good to be reminded that how we treat our spouse and children is of utmost importance to the Savior of the world and it is a reflection of our character and who we are as disciples of him. How tragic and utterly disgusting a phenomenon is wife abuse. Any man in this Church who abuses his wife, who demeans her, who insults her, who exercises unrighteous dominion over her is unworthy to hold the priesthood. Though he may have been ordained, the heavens will withdraw, the Spirit of the Lord will be grieved, and it will be amen to the authority of the priesthood of that man. Any man who engages in this practice is unworthy to hold a temple recommend. I regret to say that I see too much of this ugly phenomenon. There are men who cuff their wives about, both verbally and physically. What a tragedy when a man demeans the mother of his children. It is true that there are a few women who abuse their husbands. But I am not speaking to them tonight. I am speaking to the men of this Church, men upon whom the Almighty has bestowed His holy priesthood. My brethren, if there be any within the sound of my voice who are guilty of such behavior, I call upon you to repent. Get on your knees and ask the Lord to forgive you. Pray to Him for the power to control your tongue and your heavy hand. Ask for the forgiveness of your wife and your children. President McKay was wont to say, “No other success can compensate for failure in the home” (quoting J. E. McCulloch, Home: The Savior of Civilization , 42; in Conference Report, Apr. 1935, 116). And President Lee said, “The most important part of the Lord’s work that you will do, is the work that you do within the walls of your own home” (Harold B. Lee, Doing the Right Things for the Right Reasons, Brigham Young University Speeches of the Year [19 Apr. 1961], 5). 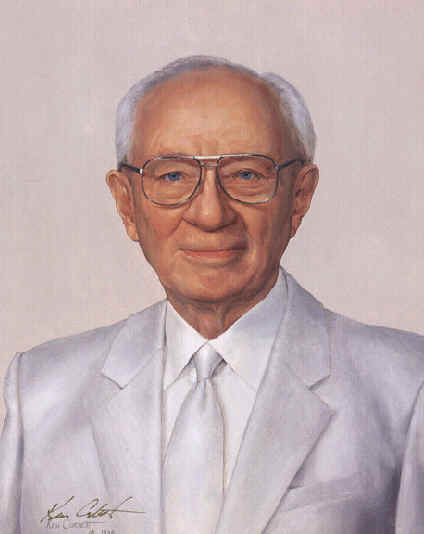 Gordon B. Hinckley, Personal Worthiness to Exercise the Priesthood, Ensign, April, 2002. This entry was posted in Book of Mormon, sin and tagged abuse, Book of Mormon, dealing with abuse, forgiveness, repentance. Bookmark the permalink. I can tell that your blog is going to be a blessing to my life. I was in an abusive marriage for almost 12 years. I really struggled that he held the Priesthood. I felt like I was breaking my covenants if I left. This post really helps me. Thank you.